Wash the inside of the body with liquid soap and water. Then rinse off all the soap, and dry completely with a clean towel. Find the window masks that came with your shell and stick them on the inside of the body using the window lines as reference points. Firmly press down on the edges of the window masks with your finger nails to ensure no bleeding of the paint. Once the windows are masked off take the steel wool, fine wet sandpaper scuff the inside of the body until it becomes cloudy. 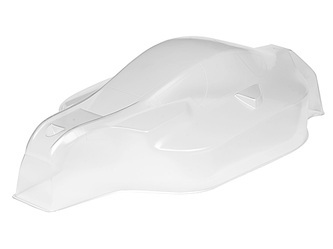 This step will help ensure that the paint adheres to the body and won’t be noticed after the body is painted. Draw the design on the outside of the body using the permanent marker, and place a strip of tape on the inside of the body over the area of your graphics, overlap the tape if one strip isn’t enough for you design. 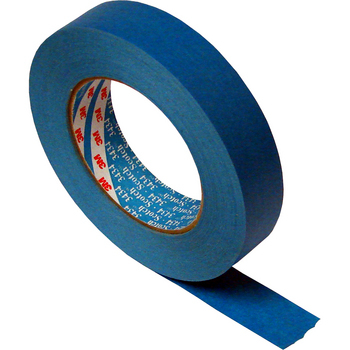 Be sure to follow the shape of the body closely and that there is no air bubbles under the tape. Hold the body up to a bright light and trace the design on to the tape using a pencil. If this is your first time at graphics, keep it simple! With your Xacto knife, cut out the design you have drawn onto the tape. Take your time and experiment with the amount of pressure you need to apply to cut the tape, yet not mark the body! (Use scrap piece of Lexan with masking tape on them to practice). Tape off the rest of the bit you don’t want painted and write in pencil what colour you want it to be on the tape. Carefully seal the edges of the cut areas of your design using your fingernail, ensuring all edges are completely stuck to the body. Put the bottom half of the can of paint in to warm water first. 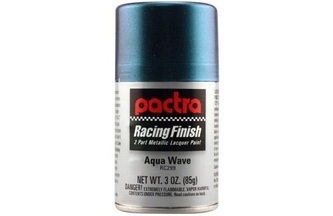 This will make the paint spray more evenly and make it easier to stick to the shell. Paint the darkest colour first because you don’t want it to show through. Then spray the lightest last. It’s best to spray three light coats, rather than two thick coats. This will reduce the chance of ugly bleeding, and paint flaking off in a crash!Peel off the masked portion for your next colour and continue to paint each colour, taking the necessary drying time between coats, back coats, and colours. If you are using light/metallic/candy colours then back these with silver or white to give the best finish, as to not let it be see through.